Big Tigger is an American television and radio personality best known as the host of BET’s Rap City and 106 & Park. He entered the television scene on voiceovers for Black Entertainment Television in 1996, while still working the radio circuit. Within a year, fans were watching him on-camera, in Rap City’s “Hip Hop News,” and he advanced to become the co-host of Rap City in its tenth season, alongside Big Lez and Joe Clair. BET then changed the show’s format, and Morgan became the lone video jockey. He hosted the show from 1999–2005, before being replaced by Mad Linx. 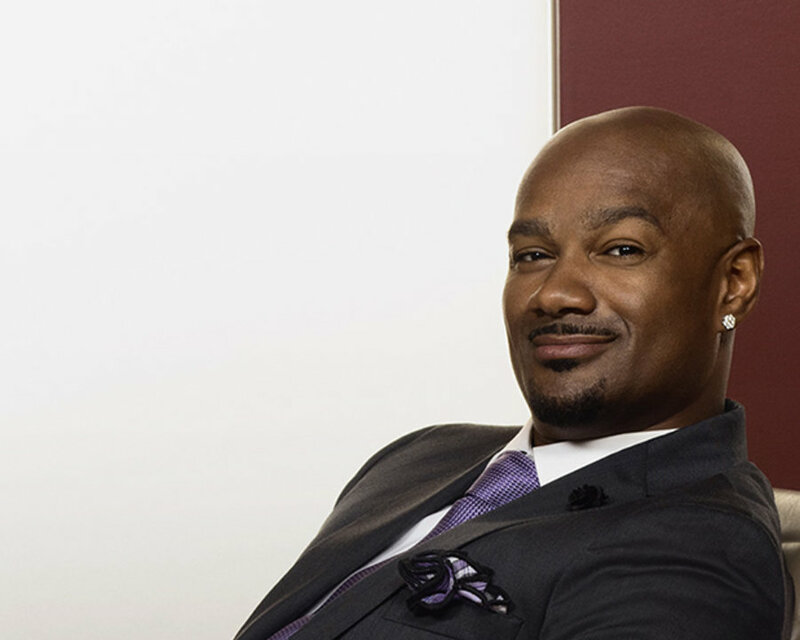 Big Tigger hosted BET’s top rated show 106 & Park until July 7, 2006 (replaced by Terrence J and Rocsi, winners of the BET New Faces Contest) and another show BET Style until its final episode on July 6, 2006. He also hosted numerous episodes of BET: Uncut. Until April 2013, Morgan hosted Live In Tha Den with Big Tigger, a syndicated radio show on weekends that aired on various Urban and Rhythmic formatted Hip-Hop/R&B stations across the country. On his show Live In the Den, hip hop stars such as Jay-Z had made guest appearances. He also conducted his own countdown of the Top 20 Hip-Hop/R&B hits of the week throughout the show. He replaced Star and Buc Wild on WWPR “Power 1051 FM” New York in 2006 with a temporary morning show, Live With Tigger with Egypt & Donnell Rawlings. He returned to WPGC 95.5 FM in 2007 as their weekday afternoon drive host (2pm-6pm). On April 12, 2010, Morgan took over for Donnie Simpson as the weekday morning show host on WPGC-FM from 6am-10am. As of January 2013, he took over the afternoon drive time slot (2pm-6PM) on WPGC’s sister station, WVEE, in Atlanta.